Atlantic Coast Public Adjusters are always here for you after air conditioning leaks cause damage to your home, forcing you to file an insurance claim. However, we also know that a little preventive maintenance to your air conditioner goes a long way to helping you avoid the leaks in the first place. One way to avoid air conditioning leaks is to make sure a float switch has been installed on your unit. This is an inexpensive way to ensure that clogged condensate drains in your air conditioning unit are detected before flooding occurs in your home. The float switch uses magnets to open and close a circuit as water levels fall or rise, so it will be able to detect pooling water and help to prevent air conditioning leaks. In addition to having a float switch installed to prevent air conditioning leaks, this cost efficient measure also ensures that your air conditioning unit meets Florida Building Code requirements. The regulations were updated in 2003 to mandate that all air conditioning units be equipped with a float switch or level detector to prevent air conditioning leaks. Preventative maintenance for your air conditioner includes cleaning the condensate drain, inspecting the filtration system, lubricating moving parts, testing the condensate pump and tightening electrical connections, among many others. Not only will having a professional perform this preventive maintenance help your unit avoid air conditioning leaks, but it will also ensure your unit and equipment last longer, reduce your monthly utility bills, cut down the need for repairs, and make your indoor environment more comfortable. So when you do have air conditioning leaks in your home, call Atlantic Coast Public Adjusters. We will guide you through filing your insurance claim and negotiate on your behalf to secure you a higher insurance payout. 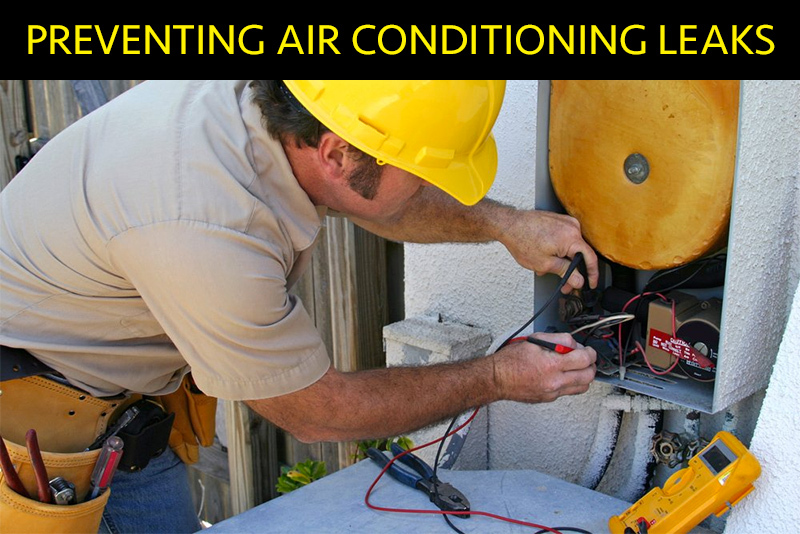 But, by securing a professional heating and cooling company to perform some preventative maintenance on your unit, you will find that you not only extend the life of your air conditioner, but will also prevent air conditioning leaks.